The Huntington Beach Tree Society was busy April 18 giving away 300 bags of Agromin's organic potting mix along with starter trees at Boeing's Corporate Environmental Day in Long Beach. Boeing employees learned from the experts at the tree society about tree care and were thrilled to receive Agromin's soil to get their trees off to a great start. 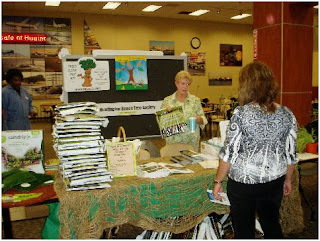 A supporter of the Huntington Beach Tree Society for several years, Agromin donated the bags of potting soil to the tree society to give away at the Boeing event.